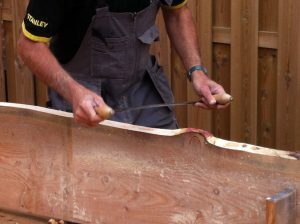 Wood is a fascinating building material full of character. With a combination of positive properties, it is gaining importance. 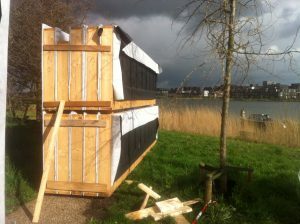 Architectinamsterdam has used it many times both as a raw material and in engineered building products. 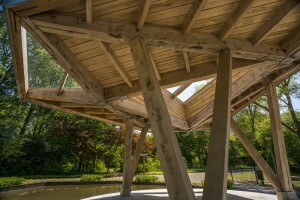 The Stadshout Pavilion is an exciting experiment, a structure from undried timber carried out by local craftsmen using local trees. Its builders won the 2015 ” best comeback in wood” award for reinventing traditional methods in wood design. Wood has great structural and thermal properties, is fire- safe and allows for flexibility compared to its alternatives. Apart from that, it is renewable and absorbs CO2 from its environment during its lifespan.